This one goes back several years when we had some friends over during the holidays and they wanted something smooth and fruity but not too sweet. 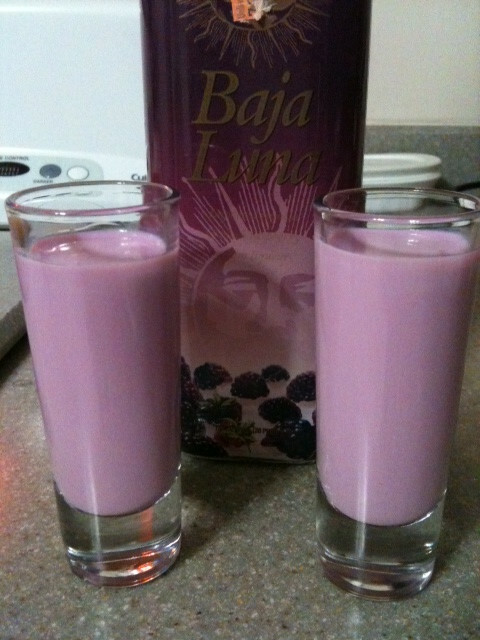 We had a bottle of Baja Luna in the liquor cabinet and we served up some really nice shots with no effort for this home bartender. The taste is very smooth. And not very boozy at all at 30 proof (15% ABV), which makes having a few of these shots easy on the buzz factor. The blackberry is very evident in the overall flavor of this liqueur. In fact, it’s often considered a cordial on it’s own, with not mixing needed. Thus the ease of serving this to multiple guests. If you’ve had Baja Luna before, feel free to leave a comment below and let me know your thoughts, likes, dislikes or experience with it. Oh, that sounds like it would taste great.